Underpinning The Athenee Hotel’s original cache is the fact that it is built on the site of Kandhavas, the palace of Princess Valaya Alongkorn, daughter of King Rama V.
Motifs directly drawn from the palace are honored in the recent redesign of the hotel where Royal Thai elements from other reigns and epochs also conspire to create intriguing aesthetic impressions of the kingdom. 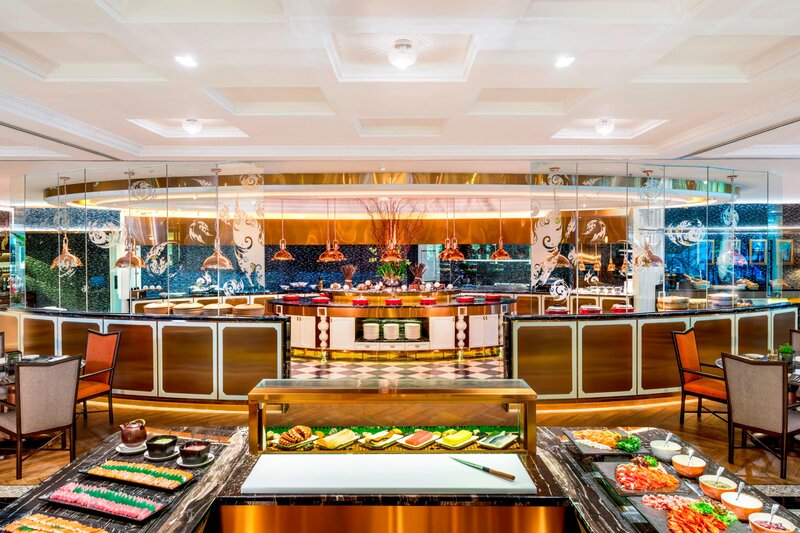 The Athenee Hotel offers an epicurean adventure with eight exceptional eateries offering authentic International, Thai, Chinese, Japanese and modern French flavors in distinctive settings complemented with intuitive service. 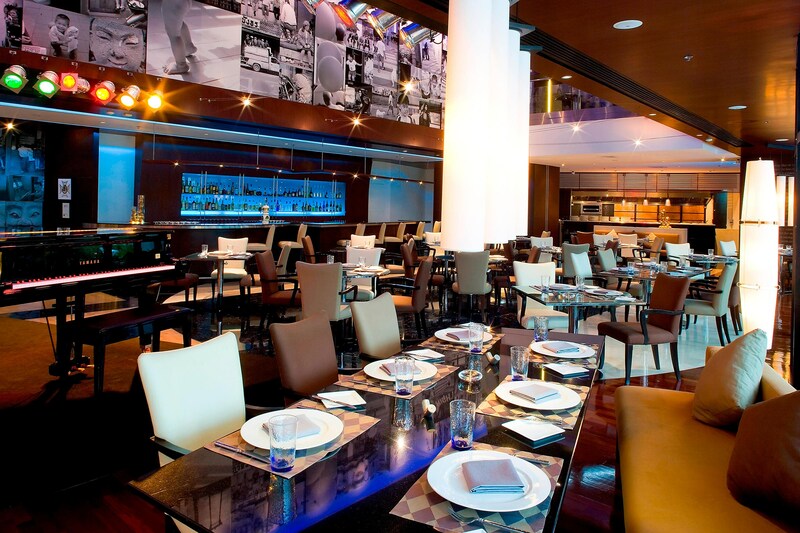 One of the our signature venues, The Reflexions, has multiple restaurant awards including the distinction of The Plate in the recently launched Michelin Guide Bangkok 2018, The Reflexions also maintains a top five ranking on TripAdvisor under the category of Bangkok’s restaurants. Our pool area is a secluded oasis where guests can escape the city. The free-form pool, surrounded by greenery situated on a rooftop garden provides an impressive view of Bangkok’s skyline. Guests are invited to either take a refreshing dip in the pool or relax on a sun lounger. 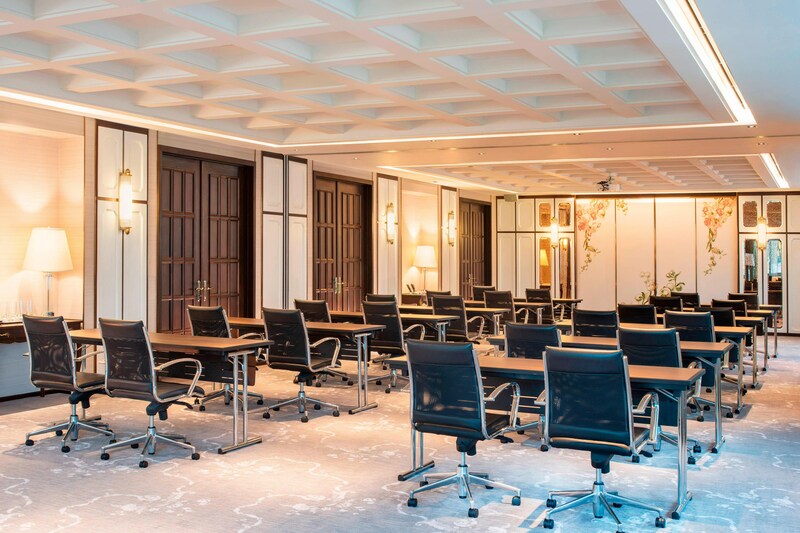 The Athenee Hotel holds the distinction of being the first in the world to achieve ISO 20121 certification for planning and delivering sustainable events, reflected in “Sustainable Meeting Practices” including Green Meetings. 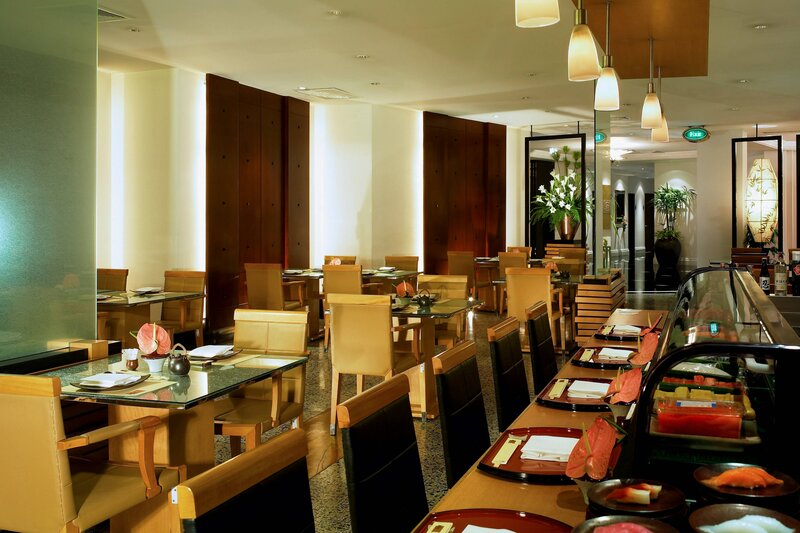 Special Green meeting packages offer separate morning and afternoon menus. One of the highlight meeting venue, Kandhavas Place, is on the fourth floor with capacity for up to 100 guests that opens onto the pool garden. 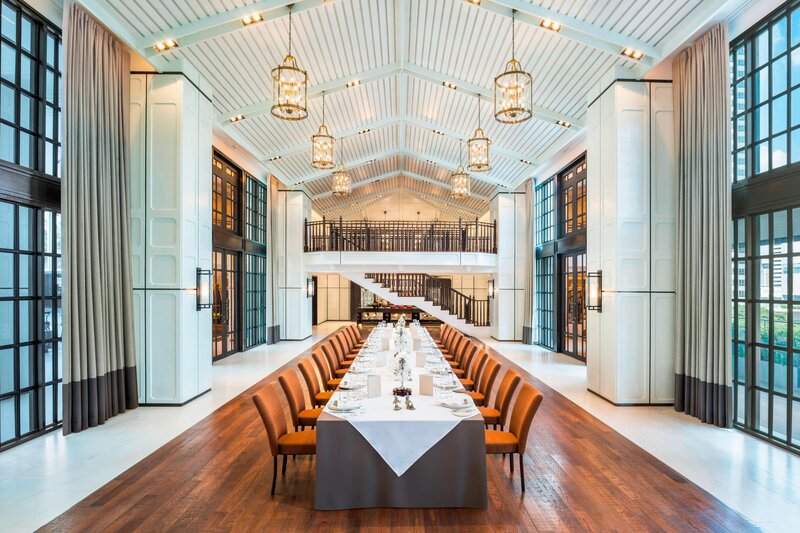 Constructed mostly in solid-core timber and finished with white paint reflecting Western European design, the venue includes an elegant mezzanine for special announcements, top table or live band. 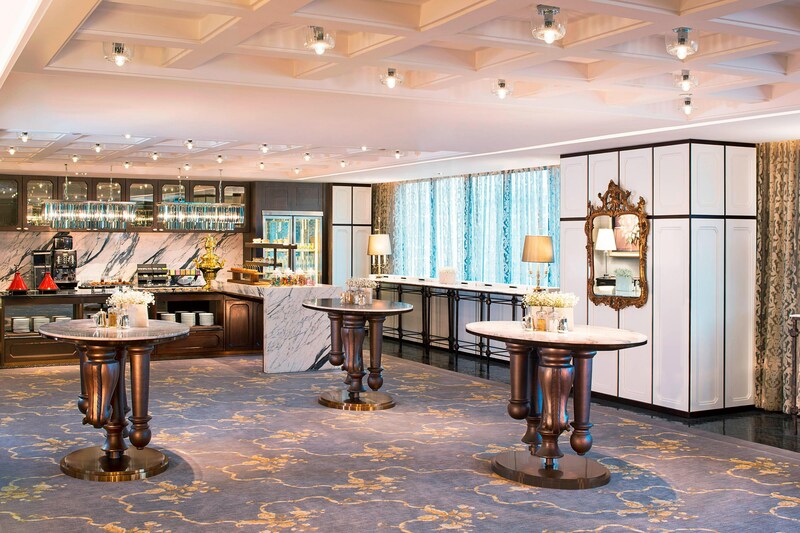 Below a stylish staircase, a smartly staffed theater kitchen prepares original or “green” coffeebreaks, canapés and gourmet meals. Discover the timeless beauty of exotic Thai culture in our uniquely themed suites, each reflecting an intriguing period from Thailand’s past. 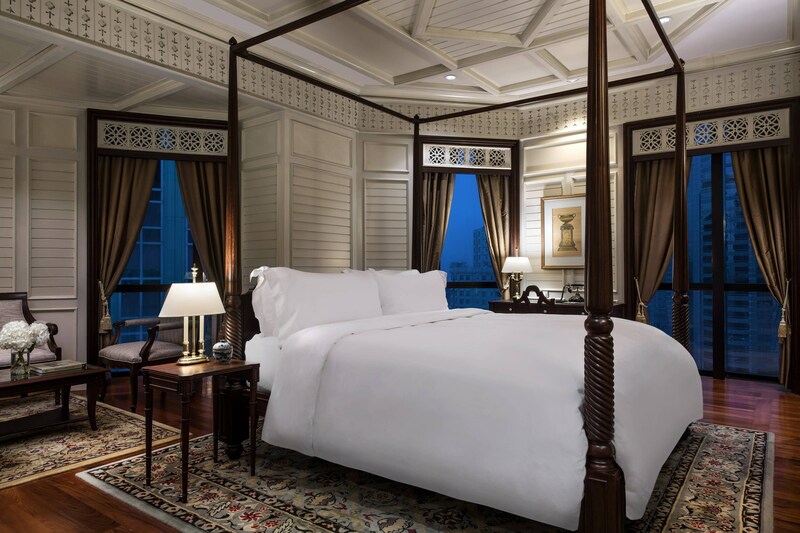 Vimarn Siam Suite, the prototype suite for all our guestrooms is inspired by the summer residence for King Chulalongkorn (Rama V) in the 19th century. The main building was later taken to Bangkok where it is now famous as the Vimarn Mek Palace. 190 square meters in European in style, with two bedrooms. The Royal Pimai Suite is inspired by the Grand Pimai Temple built during the tenth century in northeast Thailand. Ruen Thai Suite reflects an authentic Thai house inspired by the Old Kingdom’s Ayudhya period. 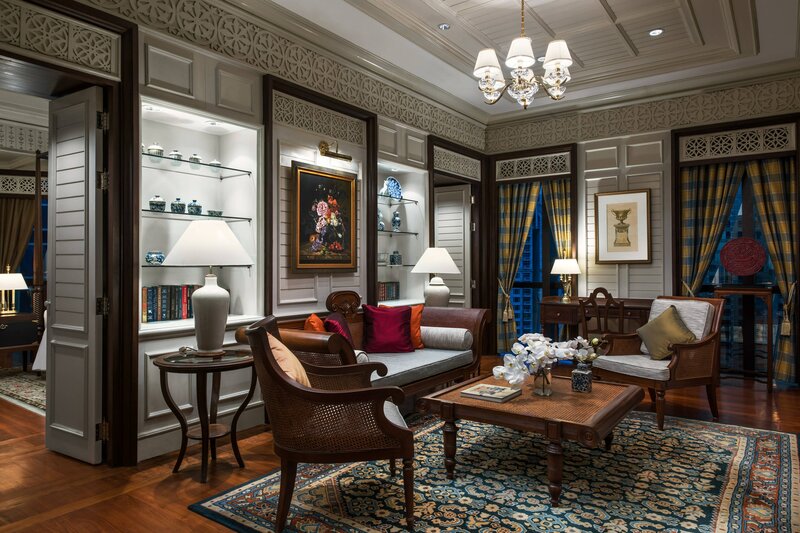 Ratanakosin Suite is inspired by the grandeur of Rattanakosin, founded in 1782 at the start of the Chakri Dynasty.